Here are some of the top pitfalls you may encounter while planning your wedding and ways they can be avoided. Friends and family often have their own ideas about what your wedding should be like and how is should be planned and may be critical and offer unsolicited advice. People will always have an opinion and dealing with it can be time consuming and can lead to arguments. A wedding planner can manage all this for you. Firstly, you need a budget, which can be hard if you have never organised a wedding before. Do you know how much you should allocate to catering, flowers, etc? Second, you need to stick to it, manage it and adjust it as you get firm prices from suppliers. Going over budget is very common and a wedding planner will help avoid this. As in life, little things can go wrong but do not let your wedding day be ruined by unrealistic expectations. Rather than worry about these yourself, you can have a wedding planner with you to deal with the family arguments and last minute hemming, for example. Unfortunately, a wedding planner cannot control the weather, but they can help distribute the umbrellas. This can only happen if you do not stress over the minute details, like wedding favours. Let the wedding planner deal with these and other details, so you can relax and enjoy your big day. The suppliers needed for a wedding are numerous. Couples are often tempted to make sure they have all their suppliers lined up as soon as possible even if they are not sure about a supplier. This can lead to a poor initial choice and a cancellation costing you time and money. 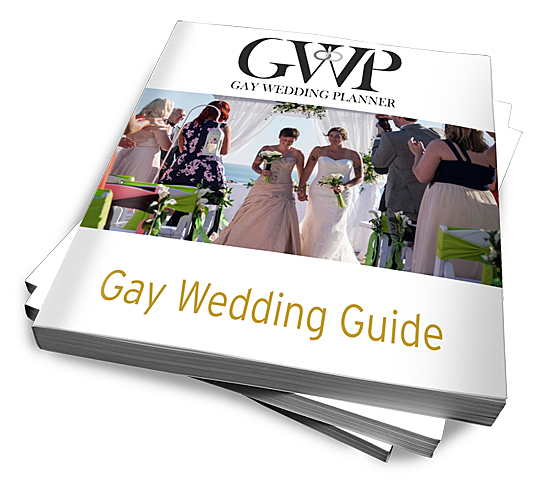 A wedding planner will be able to help you select the perfect gay-friendly suppliers for your wedding, avoiding any awkwardness, and may even be able to get you a discount, saving you money as well as time. Wedding planning is time-consuming and it can take over your life if you let it. Set a schedule for making your wedding plans. 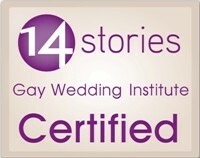 This way wedding planning becomes like an “appointment” that is part of your weekly routine. Obviously, a wedding planner will make this all much easier, so why don’t you book your free consultation today.